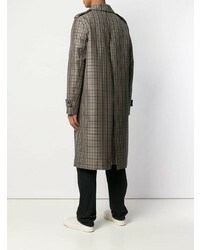 For a nothing less than incredibly stylish outfit, reach for a Stella McCartney checked single breasted coat from farfetch.com and a black overcoat. For something more on the daring side to complete this outfit, choose a pair of black leather derby shoes. 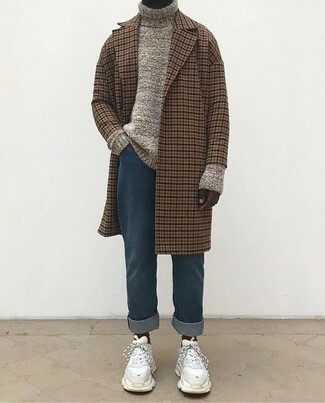 This pairing of a Stella McCartney checked single breasted coat and blue jeans is so easy to throw together without a second thought, helping you look on-trend and ready for anything without spending too much time searching through your closet. Choose a pair of white suede athletic shoes to make the ensemble current. Contrary to what you might believe, looking stylish doesn't require that much effort. 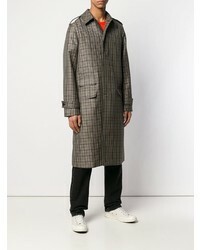 Just reach for a Stella McCartney checked single breasted coat from farfetch.com and black chinos and you'll look awesome. 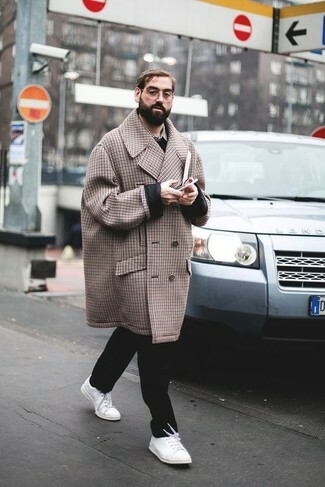 Break up your look with more casual footwear, like this pair of white low top sneakers. 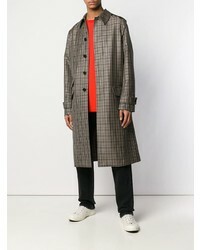 For a casually elegant getup, wear a Stella McCartney checked single breasted coat from farfetch.com and beige chinos — these two items work perfectly well together. 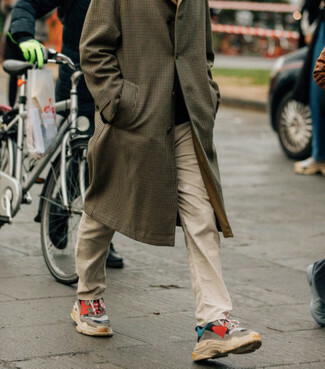 For something more on the daring side to round off this outfit, rock a pair of multi colored athletic shoes. For a casually elegant outfit, opt for a Stella McCartney checked single breasted coat and khaki chinos — these two pieces go really well together. To add more class to your look, round off with brown suede tassel loafers. 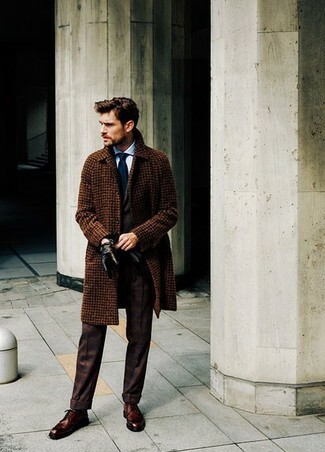 Wear a brown check overcoat and a charcoal wool three piece suit for a sharp, fashionable look. Make your getup more fun by finishing off with brown leather derby shoes. 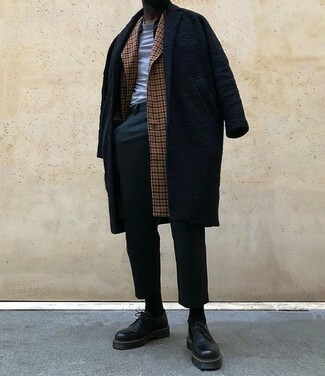 For a nothing less than incredibly stylish getup, try pairing a Stella McCartney checked single breasted coat with a dark brown suit. Add a sportier feel to your ensemble with dark brown leather derby shoes. 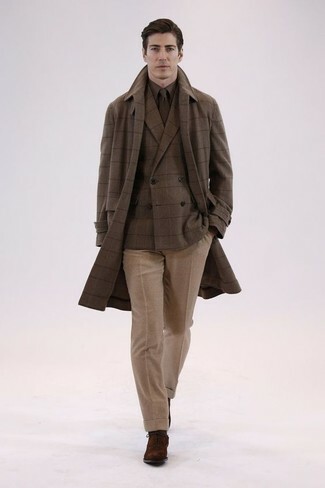 For a nothing less than incredibly stylish look, choose a Stella McCartney checked single breasted coat and a dark brown three piece suit. 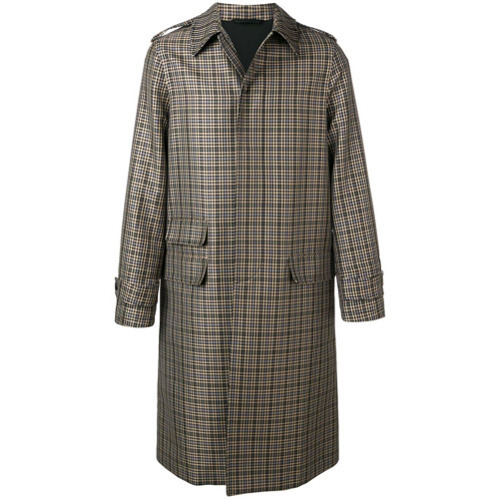 Pair a Stella McCartney checked single breasted coat with khaki wool dress pants for a classic and refined silhouette. 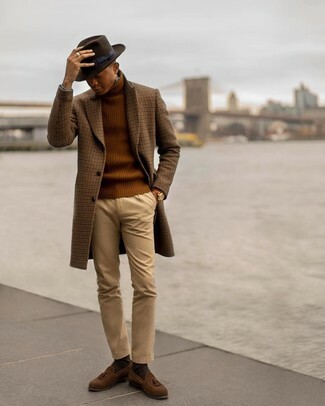 And if you want to instantly bump up the style of your look with one piece, enter dark brown suede oxford shoes into the equation.